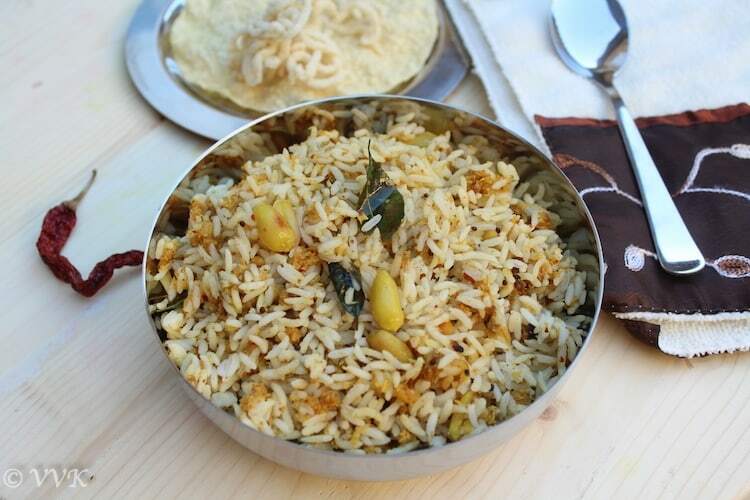 Finding an Indian kitchen without pickles is hard. Also, Indian Thali or the meal platter is incomplete without a pickle. 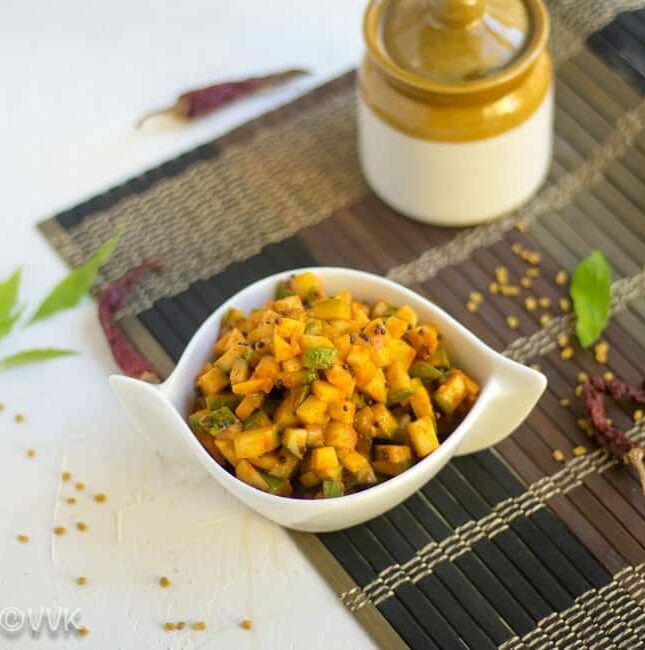 Today I am going to share a delicious and an Instant Raw Mango Pickle recipe that you can prepare with minimal ingredients with hardly any soaking or waiting time. 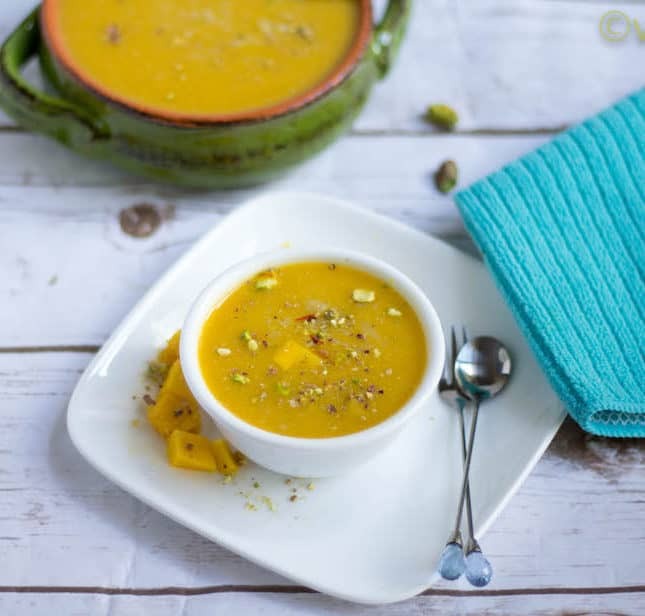 A vegan kheer with mango flavor, yes that’s what I am going to share today!!! I prepared this Sweet Vegan Mango Phirni with almond milk, flattened rice and of course sugar. But the flavor doesn’t stop there. 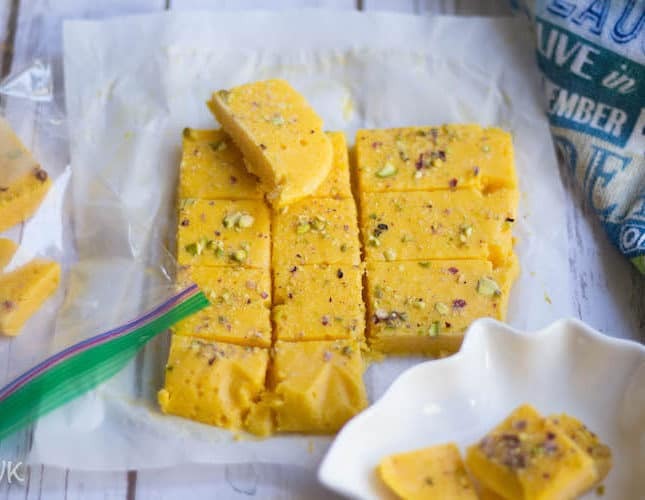 I further enhanced it with with the flavors of mango, saffron, and pistachios. 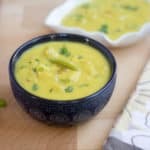 You know what, you can prepare this delectable Phirni under 30 minutes, and it is a perfect dessert and an offering/prasadam for any occasion. Here is the detailed step-wise pictorial recipe. 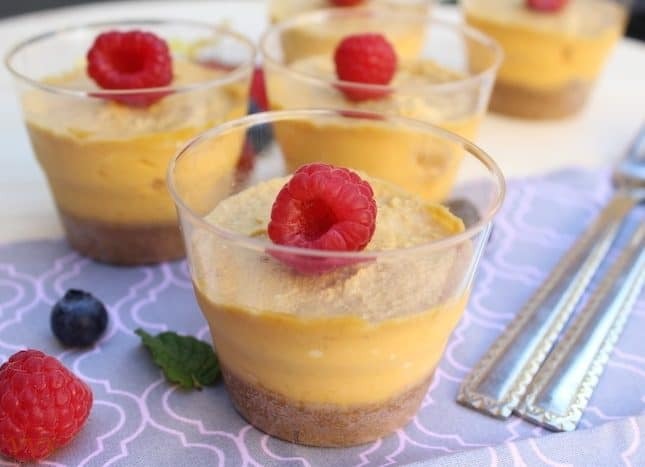 Looking for a quick, easy and a semi-homemade vegan dessert to wow your guests? 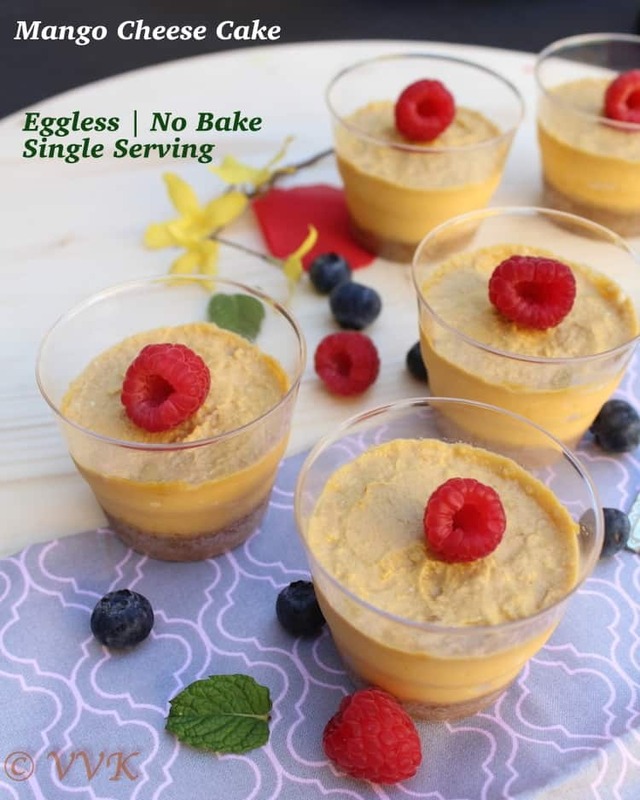 Then here you go, Vegan Mango Mousse – A simple three-ingredient delicious and decadent dessert that you can whip up in less than 15 minutes. Just chill it for 15 to 20 minutes, and the mousse is ready for serving. Luckily we still get the Mexican mango varieties here in the US. So even though the theme is Vegan Sweets, I made it to Vegan Mango Sweets. 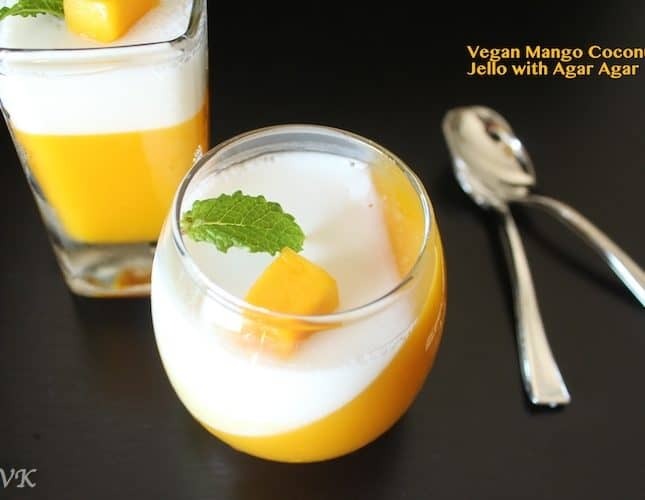 Here comes the first vegan mango dessert with step by step pictures. Mango Avocado Salsa is a crunchy, colorful and crowd-pleasing appetizer, bursting with flavors. 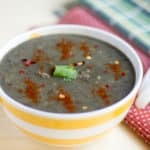 It is a perfect starter for parties and potlucks. 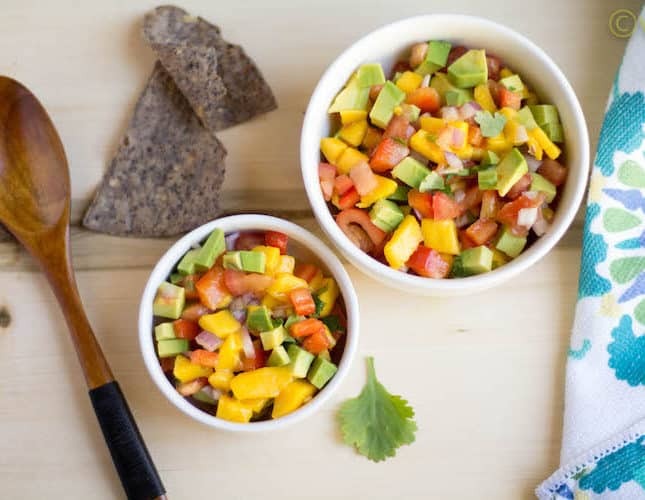 Instead of traditional salsa, serve the tortilla chips with this bright mango avocado salsa from Honduras. After a month’s break, I am participating back in the monthly blogging marathons. This week’s theme is the “Latin American Cuisine.” So kicking off BM with this yummy salsa from Honduras. I am back with a mango recipe. This time it is the Mango Jam. 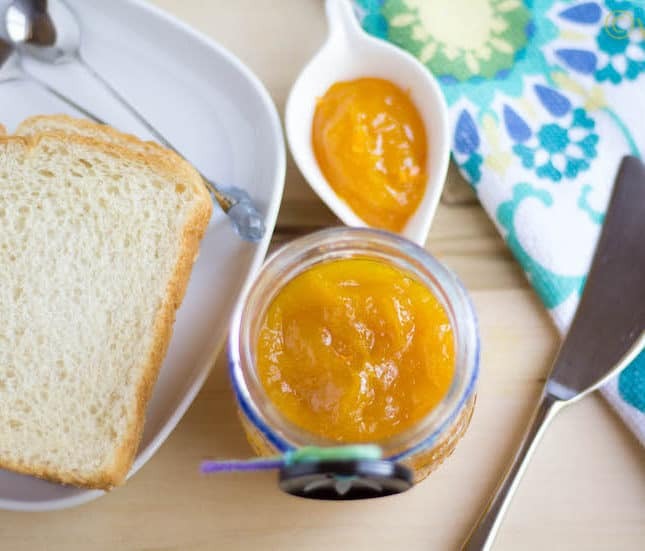 The delicious mango jam will sure brighten up your breakfast table, and it is a perfect side for your toast or bagel. All you need is some fresh mango, sugar and some lemon juice and zest to prepare this jam. 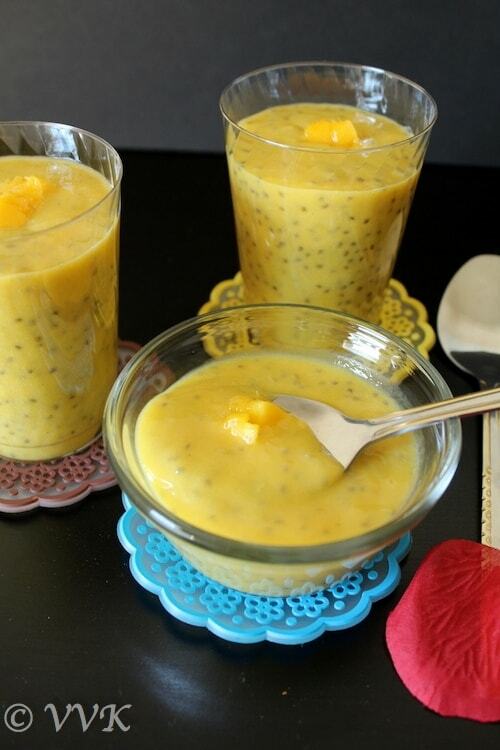 This is a simple and a protein packed pudding prepared with mango puree, milk and with Chia Seeds. 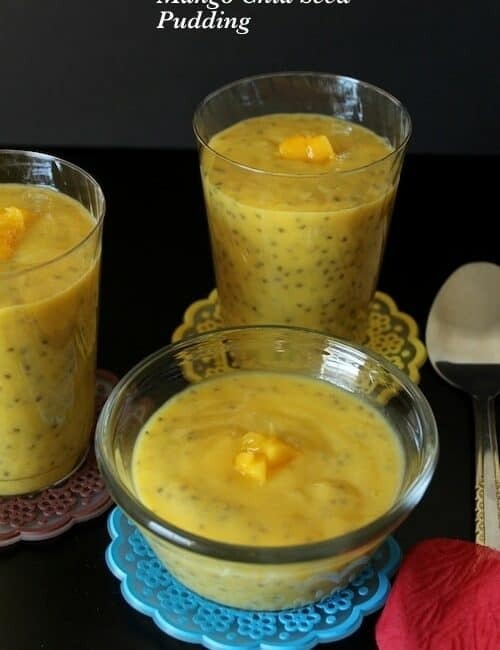 Last year I combined mango with couple other fruits and posted the breakfast smoothie recipe -mango, lychee and pineapple smoothie with chia seeds. 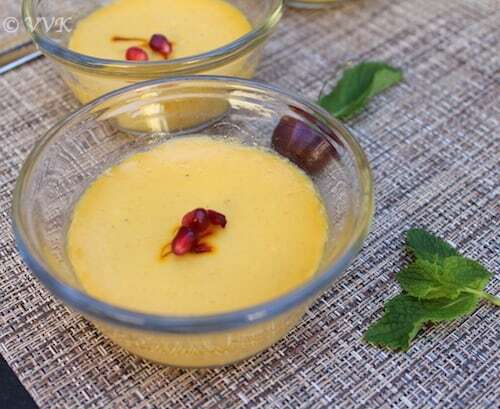 But this time I just wanted to use mango and prepare this simple and yummy pudding recipe. 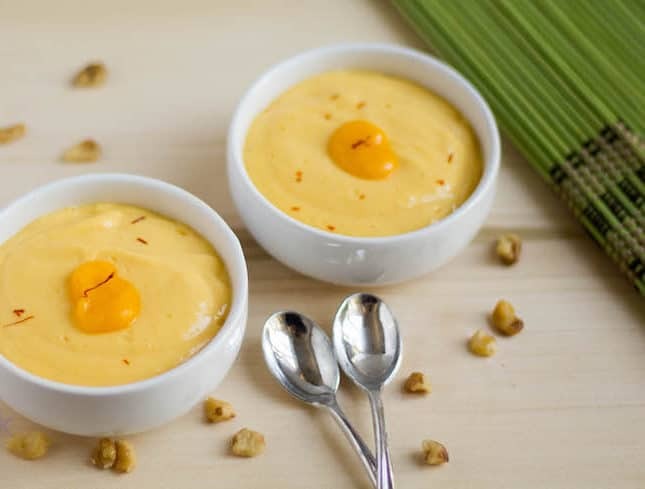 Here is the gorgeous vegan no bake mango dessert – Mango Coconut Jello or Panna Cotta or Woon Moongwang (in Thai). 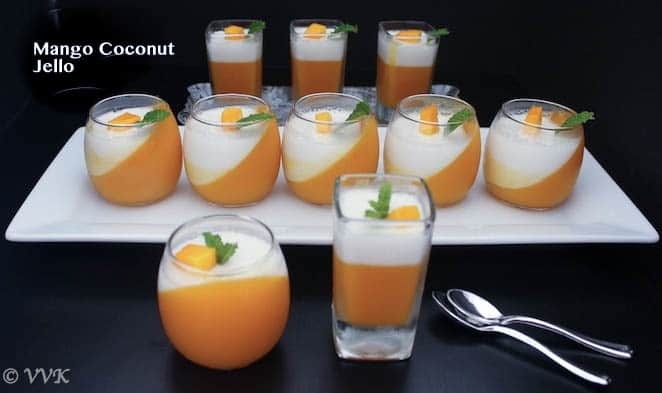 This delicacy is prepared with Mango puree and coconut milk and of course with sugar and the jello is set using agar agar powder making it perfect for all vegetarians and vegans. This week’s BM theme is No Bake Dessert. The moment I saw this theme, I picked it right away so as to try all the mango based desserts. I know it’s not one fruit theme, but still you will be seeing mango recipes in the coming days and weeks. 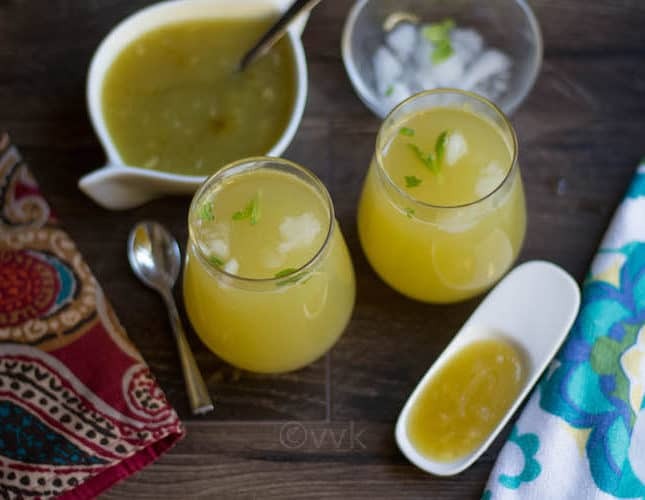 Aam Doi – Yet another popular recipe from the state of West Bengal. Mishti Doi is one of the well known sweet from Bengal which is nothing but a sweet yogurt/dahi and the yogurt fermentation process is slightly different from the regular yogurt. 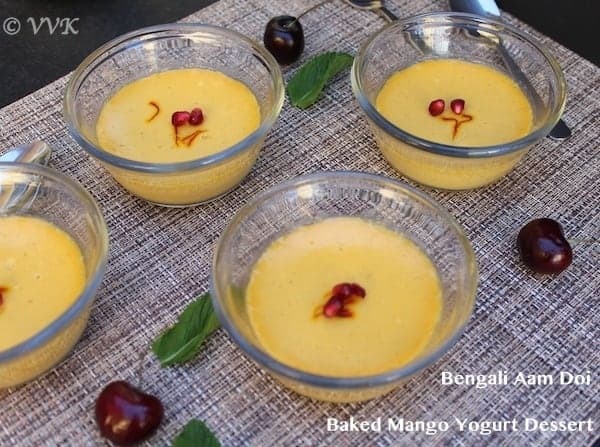 Here is Aam Doi – the baked mango yogurt dessert which is a variation to the mishti doi. 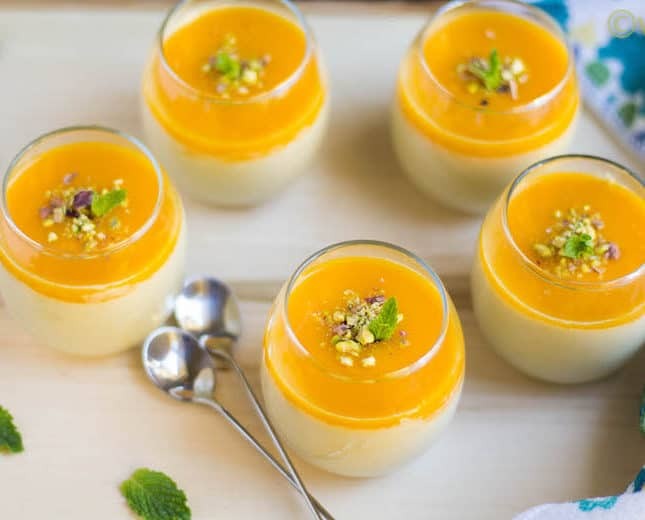 This single serving dessert is served chill and with the mango and summer season around, isn’t it the perfect time to post this recipe? 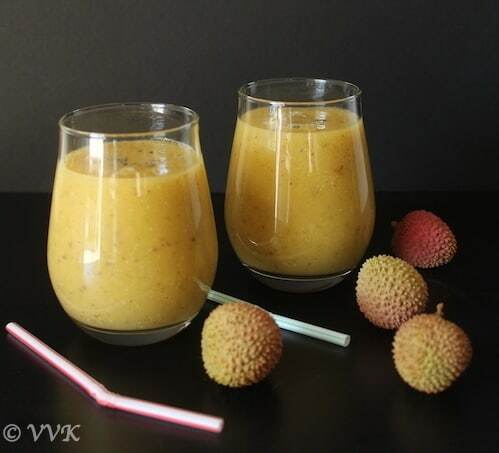 Here is a super simple smoothie prepared with all my favorite fruits – Mango , Pineapple and Lychee. 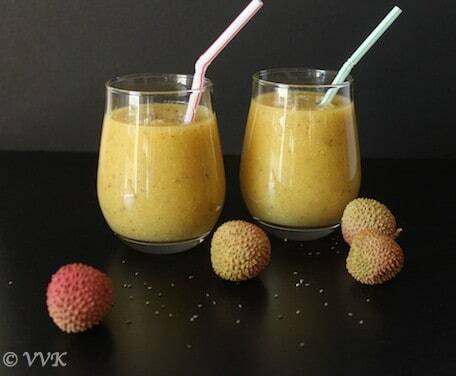 This is a super cool and a sweet combination and with the addition of chia seeds and protein powder it becomes a perfect breakfast smoothie.The sweet and sourness of mango and pineapple with refreshing lychee is an amazing combination. 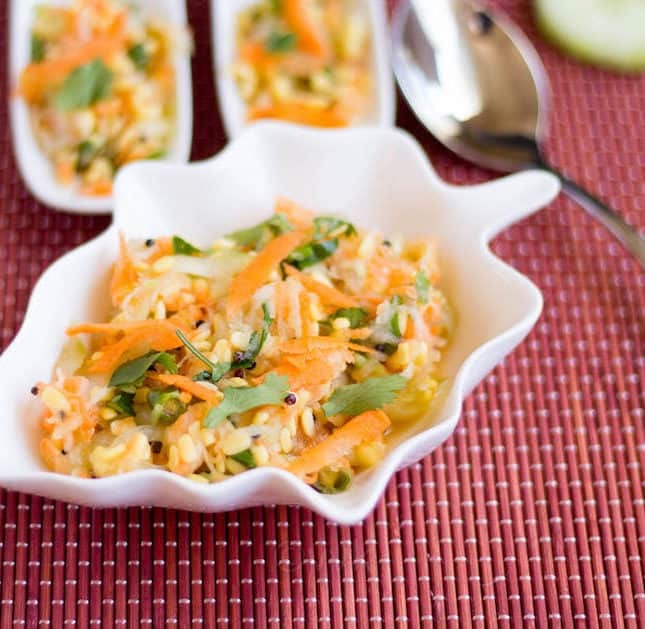 This mango rice is prepared with grated raw mango and fresh ground coconut, fenugreek seed and red chili masala. 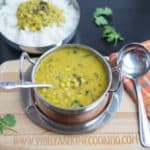 The sourness of mango and the bitterness of fenugreek seeds are well-balanced with coconut and red chillies. 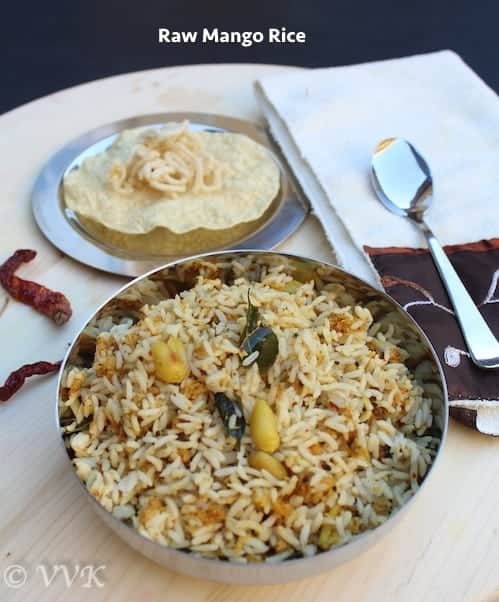 This rice is an amalgamation of all flavors and its a complete meal on its own when served with vadagams or appalam. Happy Tamil New Year to all my readers. 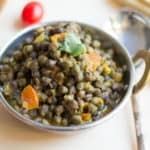 Today I am going to share a seasonal recipe and traditional recipe prepared on the New Years day – Mambazha Pachadi. 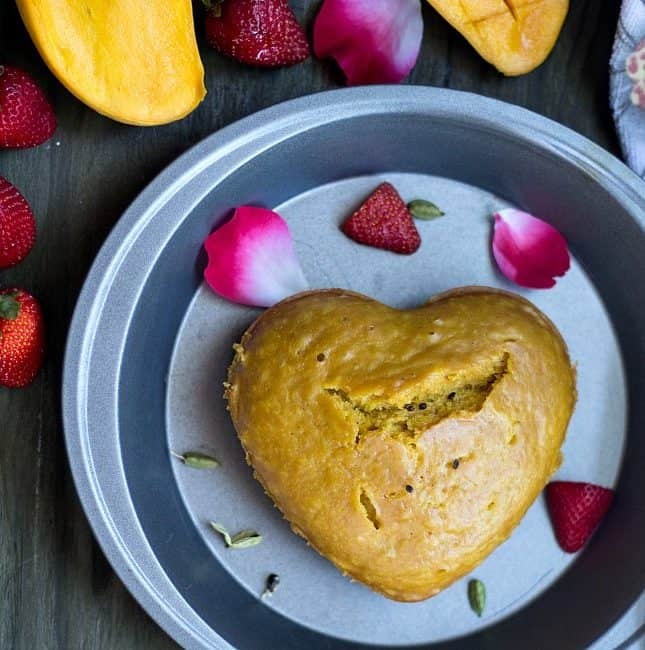 The Mango season has started and can’t wait to post these yummy mango recipes. Mango by itself is sweet and if we further cook it with jaggery, needless to say about its taste. 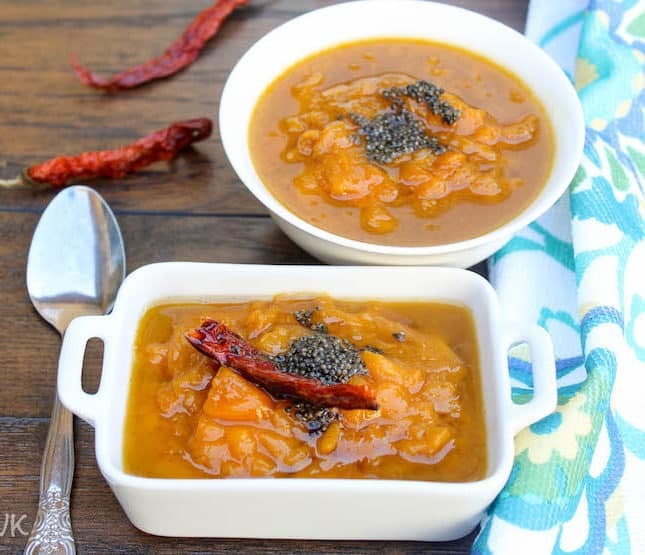 – Here comes the super sweet mango relish.